I purchased and tried out one of the famous ‘Furminator’ tools on Bandit and it worked quite well as promised, removing much of the fluffy, black undercoat that gets constantly tangled on his tongue. 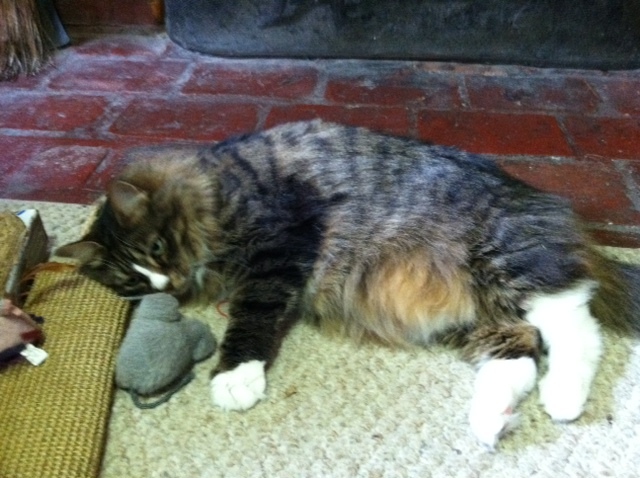 We also enjoyed a Saturday visit with cousin ‘Ananda’ – a wonderfully blissed out Maine Coone Cat. Where would we be without the fluffy spirits? 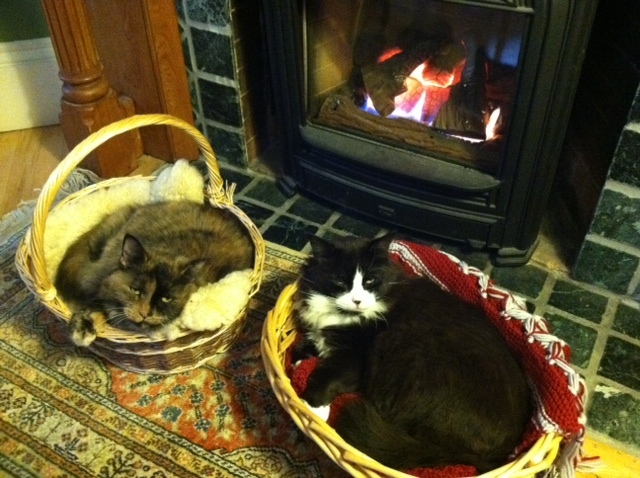 Hey Iz – these pics just make me want to Hugs your cats….they are so cute and look relaxed.